At Blast Away we have considerable experience in the clearance of blocked drains. Blast Away is an independent local business we have good access to the M2 Corridor with offices in Margate and Sittingbourne. Using the latest techniques and machinery, we are well placed to perform drain unblocking Kent. Fully insured and reliable we provide a true 24-hour service and aim to be with customers inside 2 hours. We provide drain unblocking Kent including the main towns of Margate, Ramsgate, Broadstairs, Birchington, Sittingbourne, Faversham, Whitstable, Herne Bay, Canterbury Ashford, and beyond. Call us; we operate a genuine round the clock service meaning we will be available 24 hours a day seven days week we are always on hand to unblock your drains. Our excellent access to the M2 from Sittingbourne and Thanet Way from Margate means we can be with our customers quickly. Blocked drains can be a distressing business, because of this from the initial phone call we aim to be with you inside 2 hours. At Blast away we have no call out fee and will provide you with a fixed price quotation to unblock your drain. Should you be happy to go ahead we will unblock your drains swiftly and efficiently; our team are respectful and courteous at all times when working on your property. A pipe is fed into the drain that requires unblocking; pressurised water is then fed through the pipe at up to 4000psi a professional rotary drain cleaning attachment then transforms the water into a powerful laser water jet. The pressurised jets of water rid the drain walls of build ups and deposits, including Limescale, Uric Acid, Grease and Fat. If Our drain jetting equipment is powerful enough to cut through tree roots, fat build ups, and limescale if we cut out roots we can then re-line the drain using no dig technology. The rotary spinning effect of the nozzle achieves a complete 360-degree drain clean which serves to unblock the drain. This system is capable of cleaning drain pipes in tight spaces and is efficient at doing so; Electro-Mechanical cleaning can unblock pipes from an inch and a quarter in diameter. This makes Electro Mechanical Drain unblocking our go-to system for the smaller pipes present in your home. Smaller pipes are especially prone to blocking and include toilet pipes, sink pipes, and shower drains. This system will clean larger pipes and is still powerful enough to remove tree roots that have penetrated drains. 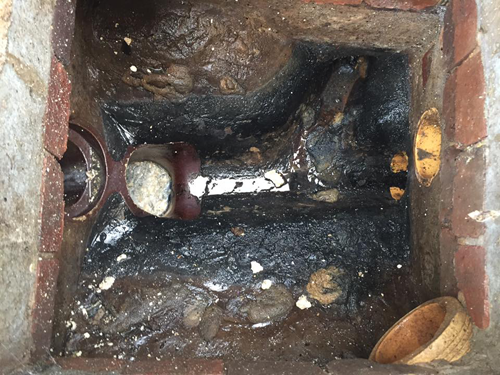 If your blockage turns out to be within one of the smaller pipes in the home, this will prevent us from using our jetting machine. Due to the hard to reach nature of many pipes or the diameter of the pipe electro-mechanical provides an equal and powerful alternative. Based in Margate, Ramsgate, Broadstairs, Sittingbourne, Faversham, Whitstable, Herne Bay or Canterbury Blast Away will have your sink or toilet unblocked in no time. 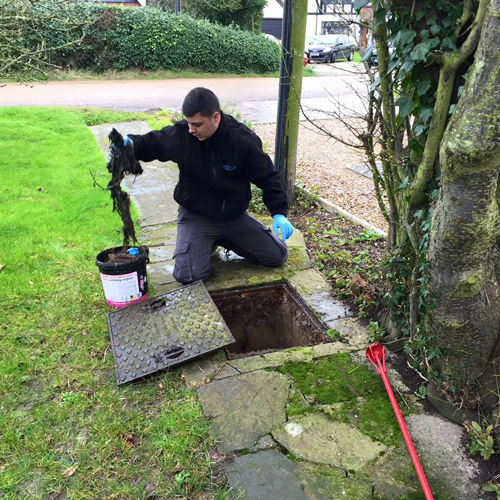 Our team provide general drain unblocking Kent and are fully insured to work on domestic and commercial properties. 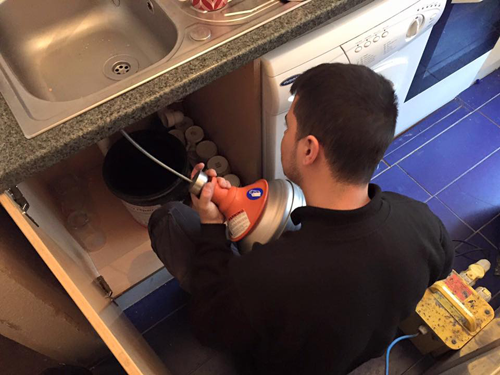 We also provide drain cleaning and descaling services across the Kent area. Where do we unblock drains? We unblock all manner of drains in Sittingbourne, Faversham, Whitstable, Herne Bay, Canterbury Dover, Ashford, Folkestone, Ramsgate, Margate, Broadstairs, Deal, and Sandwich. "Arrived on time, had all the tools required to do the job very satisfied would recommend"